AKON customer applications require microwave sub-assemblies and components to perform when called upon, be it in a defense, space, or commercial atmosphere. Since its inception, AKON has maintained a strict adherence to the exacting standards of quality and performance, leading to fielded system application reliability. Our customers continue to place their trust in AKON as a proven, reliable supplier. AKON’s quality system is structured to conform to a demanding program of continuous process monitoring and improvement. While not solely a function of the quality assurance department, it is company-wide in nature, affecting all disciplines: engineering, manufacturing, sales/marketing, and administration. AKON’s quality assurance system is structured in accordance with MIL-I-45208, MIL-STD-883 including “S”, and MIL-I-38510. AKON manufactures and qualifies products that are intended for use in equipment conforming to MIL-E-5400 Class 2. AKON is currently ISO 9001 compliant, and working towards certification to ISO 9001-2015. Receiving inspection is performed on all incoming material (electrical and mechanical) to ensure quality and reliability, in conformance with our controlling specification and purchase order. 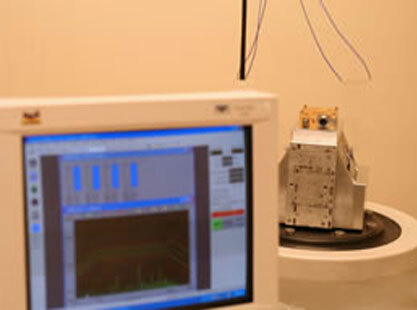 In receiving inspection of microelectronic devices, our goal is to identify obvious and latent defects which can contribute to early or longer-period failure in a customer’s application. For mechanical items, we look for visual, surface anomalies, as well dimensional features. 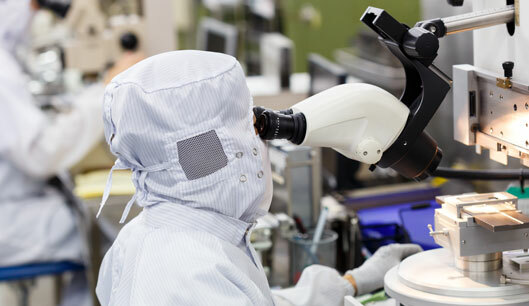 In-process manufacturing inspections is performed to monitor that established production techniques are being followed, in order that the manufacturing process can flow smoothly towards meeting the customer’s product requirements and reliability. Early detection of a deficiency allows for correction thus enabling product to continue its flow through the manufacturing process. An approval to continue with manufacturing is given when the in-process inspection indicates that all internal and/or customer mandated requirements are being met. AKON in-process inspection is performed at the following junctures: housing/package assembly, pre-tune, pre-cap, final assembly and test. In an effort to further ensure quality, random spot-inspections are conducted on a daily basis. AKON quality assurance personnel work closely with the engineering; manufacturing, documentation, sales and administrative departments guarantee that the customers’ needs and contract are met. 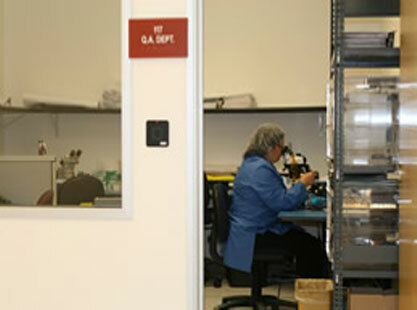 AKON has a fully instrumented environmental testing laboratory. MIL-STD-167, MIL-STD-202, MIL-STD-750, MIL-STD-810, and MIL-STD-883 are the basis of most tests. 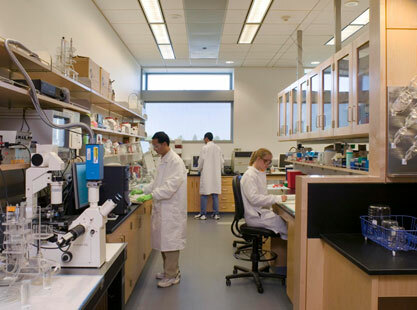 Following is list of commonly performed testing at AKON. Stabilization Bake Microprocessor Controlled +125°C. Thermal Shock Air to Air. Microprocessor Controlled. Temperatures: -54°C or -65°C to +125°C (typ). Soak Times: 30-60 min, transfer time "automated" less than 5 sec. Mechanical Shock Drop Machine: 50 G, 11 ms, 1/2 sine wave. 100 G, 6 ms, 1/2 sine wave1500 G, 1/2 ms, 1/2 sine wave. Shaker Shock. Vibration Random, Sine, and combined Random/Sine. 2,200 force pounds. Thermovac Microprocessor controlled. Thermal platform temperature range:-54°C to +95°C. Temperature-Humidity Microprocessor controlled. Temperatures to +95°C. Relative humidity of 5% to 95%. Temperature Cycling Microprocessor controlled. DC power application at any point within the program. 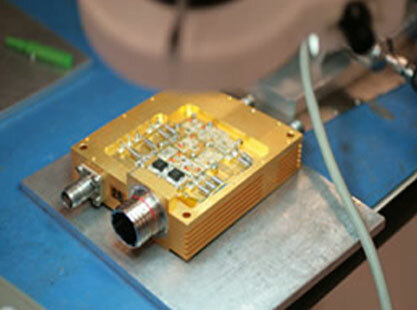 RF power application. DC Burn-In Microprocessor controlled. Temperatures to +95°C. RF Burn-In Microprocessor controlled. Temperatures to +95°C. Leak Rate Testing Hermetic Packages: Helium Fine Leak Rate Testing to 1 x 10-10 ATM cm3/s. Non-Hermetic Packages: Bubble Leak Testing. While AKON’s design and construction techniques are the standard for ruggedized construction geared towards long operating life, this capability allows us to participate in the space component and subsystem markets in accordance with MIL-S-883. Most S-level testing and screening is capable of being performed in-house, along with the required documentation control, process tracking, and program management. AKON performs a final quality assurance inspection prior to shipping product, in order to confirm and assure customer-required electrical and mechanical specification conformance in accordance with the terms of the purchase order. At this time, a final QA inspection report is generated for every item to be shipped, which includes functional electrical data as well as mechanical.